Rio de Janeiro: live stand-up positions. 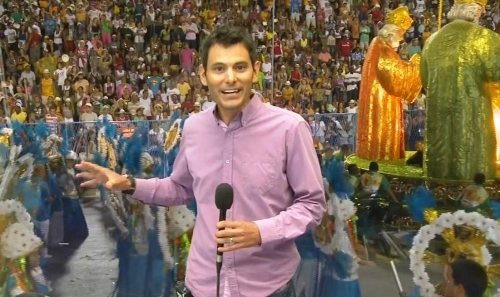 Rio de Janeiro is revving up to host its annual Carnival, one of the world’s most colorful sun-drenched spectacles. Thousands of people will enjoy the dance parades from the bleachers and VIP stands inside the Sambadrome, while millions around the world will watch the spectacle on television. International broadcasters are able to once again report from inside Sambadrome. Live stand-up positions are at 'Concentração ', the entrance of Sambadrome. This is a unique opportunity exclusive to broadcasters working with NewSource Globo and The Associated Press. RioTur credentials are required to access the NewSource Globo | AP positions. Deadline to apply for accreditation has now passed.